It’s more than okay that your homeschool schedule does not follow the crowd. You didn’t homeschool because you were a crowd follower. You didn’t homeschool because you enjoy the restraints of arbitrary rules. So why are you struggling with a homeschool schedule that is a carbon copy of the school system or your cousin’s wife’s niece’s neighbor who has been homeschooling for half a decade? Perhaps you have read about different types of schedules and you are trying to fit into the mold it outlines. Let’s get real, if you are struggling to squish your family into a schedule then perhaps your schedule needs a facelift. If your schedule is chaining you to an ideal then you are missing the intent of implementing one in the first place. A schedule is simply a plan for carrying out a process such as homeschooling. The intent of a schedule is to provide a framework that allows homeschooling to be successful in your home. If your current schedule or lack thereof is preventing you from success then simply ditch it. Don’t feel bad or make any apology for it. Your homeschool should reflect your family’s lifestyle. If you try to insert a schedule that places stress on your family you will end up frazzled and possibly not finishing your school year on a high note. Always remember that when unexpected events occur you have 12 months to work out your school year not the traditional 9 months. Relax and plan a year that suits your family’s needs to increase your ability to have a successful school year. Once you find a plan that follows the natural flow of your day and reflects your family’s lifestyle you will find freedom in your schedule. So, the reality is that we all need to sit down and come up with a schedule regardless of our free spirited ways. First, however, we need to address the natural flow of our homes to create a schedule or framework that has the best chance of success. Here are some things to consider. What shift does your husband work? Are there any months or seasons that are particularly busy for you? Are you a caretaker to another relative? Are your children morning people? Are your children independent learners? Is your family currently experiencing a trial or something unusual in your daily routine? Are your children involved in activities or a co-op? During my 16 years of homeschooling my lifestyle has changed a few times. There were times my husband worked 2nd shift or long 14 hour days. I went through times where I was a stay at home mom, a work at home mom, and a business owner. I have experienced homeschooling with babies, toddlers, taking on middle school and high school. I used to be a night owl and now I am an early bird. My family experienced hard times and amazing times. There were years without a car and years where finding us at home was a rate sighting. Through the years we had to adjust and adapt. I suspect you will as well. Remember as life changes it is ok for your homeschool schedule to change. One year you may take the summer off and one year you may take the winter off. You may start school at noon for three months and at 9am for another three months. You may want to take a long Easter break and a short Christmas break. You are not a system. You are a homeschool family. Don’t forget to allow life into your daily routine. Don’t sacrifice family time for school time. If dad works 2nd shift, it is ok to begin school in the afternoon. Don’t allow your plan to become your idol. You need to adapt your homeschool to the natural flow of your day. Plan vacations and time off around the busier times in your life. For instance, if December is crazy busy then take all of December off and school all of June. Adjust your schedule as life changes so you run your homeschool and not the other way around. Don’t pay any mind to what another homeschool mom is doing. Let early birds be early birds and let the night owls sleep in. Don’t confine yourself to a traditional calendar or school hours. 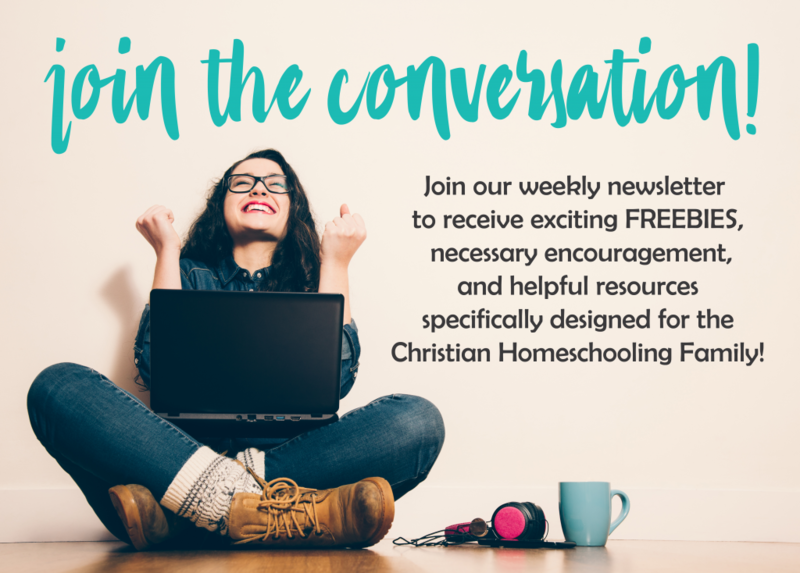 NEW FREE Homeschool Mom's Lifeline Prayer Guide! I totally agree. It took me three years of homeschooling to realize these truths but that has made the last two so much more productive and enjoyable!